Damascus, Virginia is a trail town. Everyone knows that; after all, the Appalachian Trail comes right through the park downtown, alongside the rail trail known as the Virginia Creeper. Trail town culture is a big part of this picturesque mountain town. One thing Damascus isn’t known for, though, is mountain biking. Excellent mountain biking, actually. No, there’s not a slew of new purpose-built trails cropping up at the outskirts of town, nor a cache of funds earmarked to build some. These trails have been there for a long, long time. 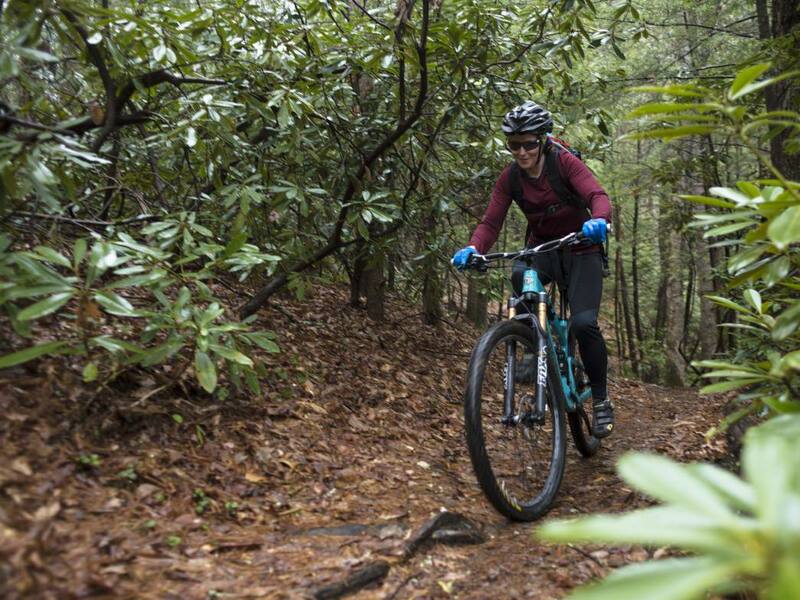 In this case, those trails are the Iron Mountain Trail and the adjacent ribbons of deeply-forested singletrack which connect to it from either side of the mountain from which it takes its name. 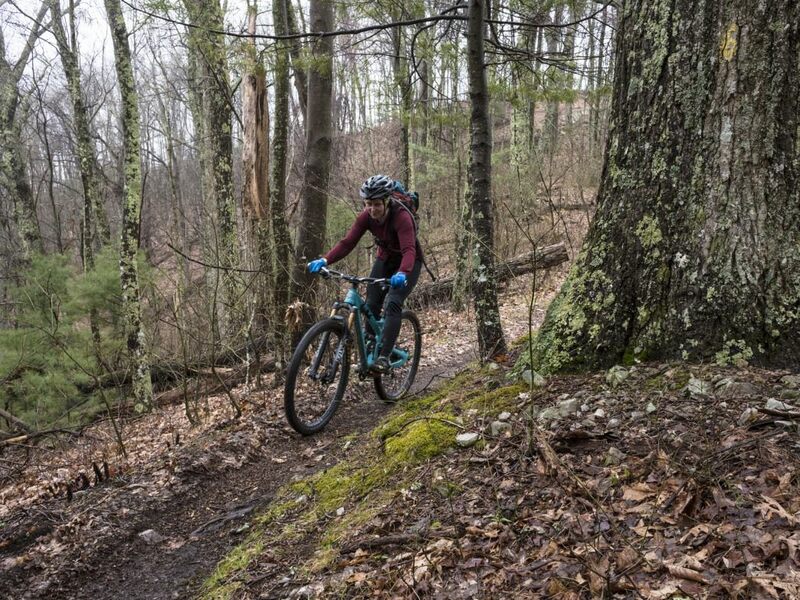 Iron Mountain itself is 20 miles long, and the many ways to access it—Beech Grove, Chestnut Ridge, Sawmill—offer up countless more miles of trail just begging for knobby tires. Other than the A.T., which is (of course) designated as foot-traffic-only, you’re welcome to it. 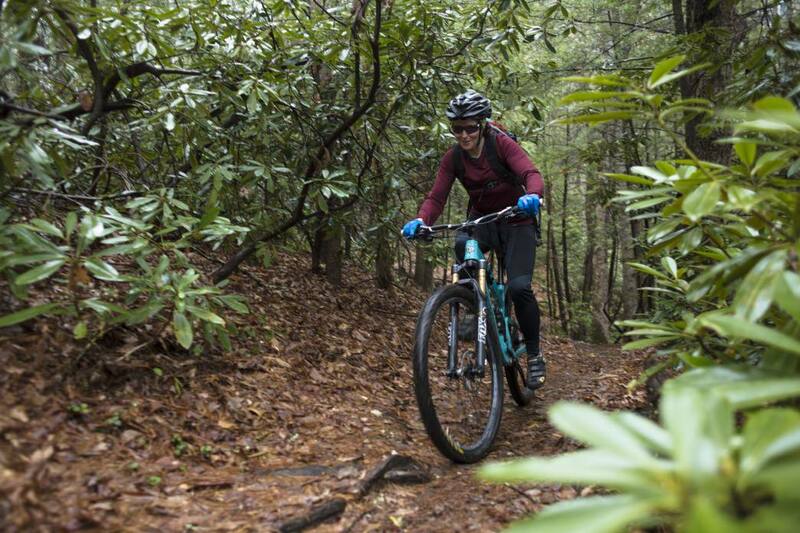 You can ride all day on old, weathered trails which cling to steep slopes above town and weave across the ridgeline, and you’ll probably not encounter another mountain biker. In fact, you may not encounter any hikers, despite the steady flow along the Appalachian Trail. 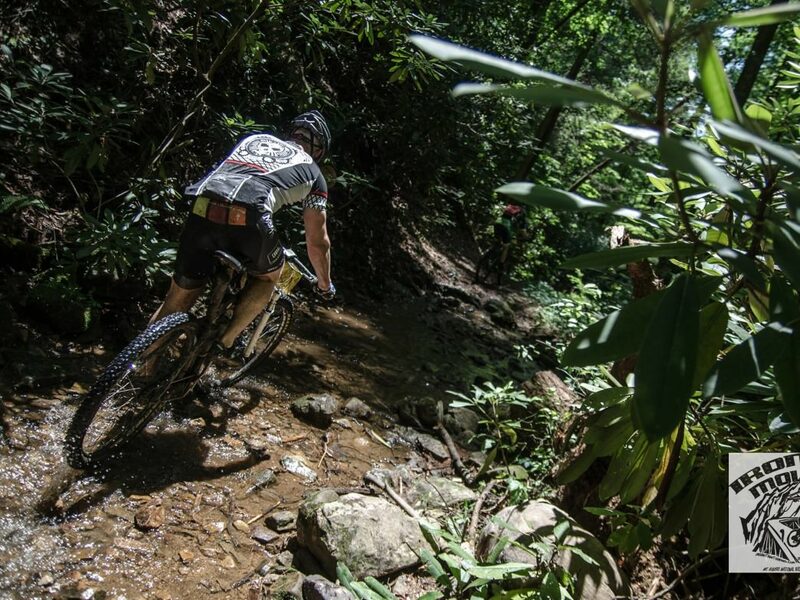 Really, how are these trails not packed with enthusiastic riders like the favorites in the nearby Pisgah National Forest? It blows my mind. “It blows my mind, too,” says Chris Scott. 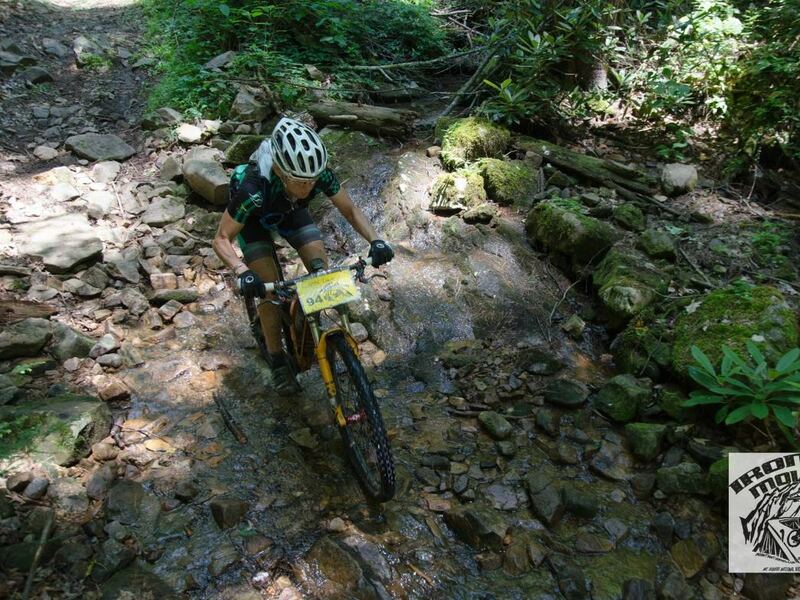 Chris is the owner of Shenandoah Mountain Touring, as well as the race director for the Iron Mountain 100k. 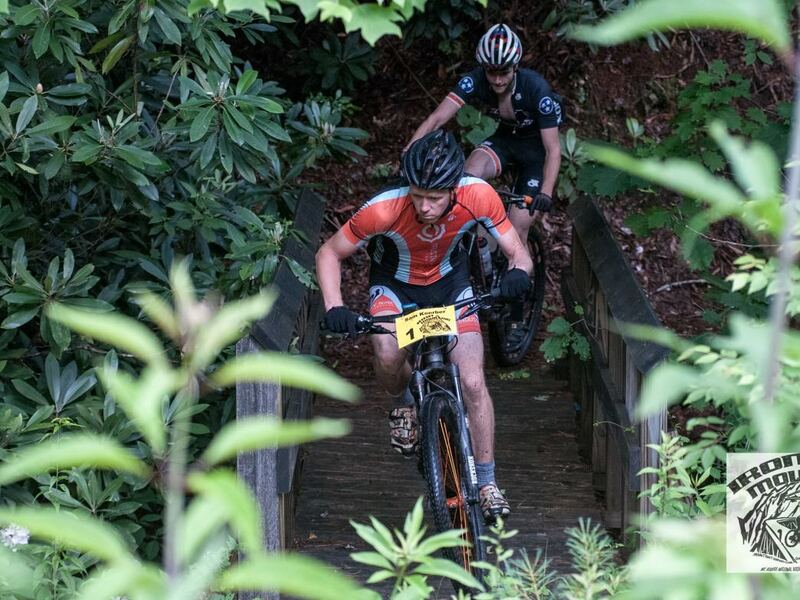 He’s hosted this mountain bike race in the area every year since 2009, hoping to expose the trail system to a larger audience. This network provides no shortage of route options, depending on how epic you want your day to be, all within a stone’s throw of downtown Damascus. 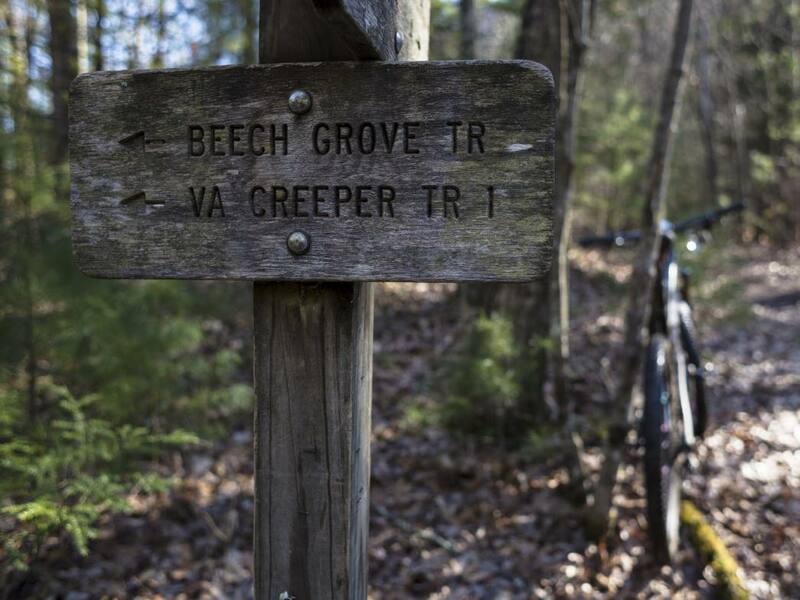 Hop on Beech Grove right from the Virginia Creeper, or ride up a paved cul-de-sac from downtown Damascus until it simply turns into the southwestern end of the Iron Mountain Trail itself. It’s challenging riding, too, with plenty of narrow bench-cut singletrack—it’s really only “half track” in several places—and some seriously loose, rocky sections. The steep grades of the trails on either side of the IMT let you pick your poison: which do you want to claw your way up, and which do you want to rip down? We particularly enjoy the descent down Jerry’s Creek Trail. On a recent ride, from which a few of these photos are taken, I reprised most of the southern half of the race course and was reminded at how varied and interesting the trails are. This is backcountry mountain biking in its true form, in the mountains, deep in the forest, with narrow singletrack and natural features. Our recommendation? Make time for a trip to Damascus, and leave that cyclocross/cruiser bike at home this trip. Bring your mountain bike, instead!